Winter Park Traffic Defense Attorney – Florida Red Light laws might be changing. The Florida Supreme Court has issued a ruling concerning county and municipality issued tickets to Florida drivers who are captured by cameras and ticketed for running red lights. As it currently stands, the fine for a red light camera violation is $158 if paid on time and $250 if paid late. In wake of a South Florida court ruling leading up the the Florida Supreme Court’s ruling, some 24,000 red light camera tickets have been dismissed by the prevailing court. In addition to the Florida Supreme Court ruling on red light camera tickets, there is currently a Federal law suit originating out of South Florida that includes 38 Florida cities and municipalities challenging the legality of red light camera tickets. The central ruling by the court focused on the issue of private company video tape review versus police review. It is now required that each Orlando red light camera offense be reviewed by law enforcement to determine whether an infraction occurred rather than a private company. Many Florida cities and counties are now trying to become compliant with this requirement. 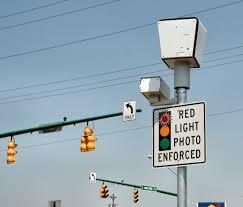 What happens to those who have already paid their red light camera tickets remains unsettled. Whether these people receive a refund of their red light ticket has yet to be decided. Successfully fighting your Winter Park red light camera ticket still requires the driver or his attorney to appear in court to contest the ticket. Simply not showing up after requesting a hearing is insufficient to defend red light camera tickets. The Winter Park, Florida defense firm of TILDEN LAW is rated A+ by the Better Business Bureau. Winter Park traffic ticket Lawyer, Fleet Tilden has 20 plus years experience successfully defending clients in Orange County traffic ticket cases, Altamonte Springs criminal traffic and Winter Park traffic cases. If you or a loved one wishes to have their Sanford theft case or Orlando traffic ticket case dismissed Contact TILDEN LAW for a free and confidential case evaluation to determine your best defense in combating your Winter Park traffic ticket case, 407 599-1234.